August was a month flooded with options for whiskey drinkers, but that doesn't necessarily mean the top 5 was all whiskies. With strong performances from vodka and liqueurs, lets jump straight in and take the edge of the cold with this months top 5! Ballantine's is a simple and elegant way to start the top five. Inexpensive and lovely to look at, ballantine's ticks all the boxes you need ticked when looking for a house scotch. The "alcohol with a side of liqueur" flavours have always ranked well on with coke and Jack Daniel's Tennessee Honey is no different! Simple and immensely sweet while still tasting like whisky, this is very easy to drink both straight and with coke. Just missing out on second by the smallest of margins, losing out by a tiny margin is the mighty Pavan! France definitely didn't let us down with this bad boy, really doing everything right to produce a liqueur that tastes exactly as you would think it should: like muscat grapes and orange blossom. A little bit of inspirations from the peacock design hasn't led it astray either! 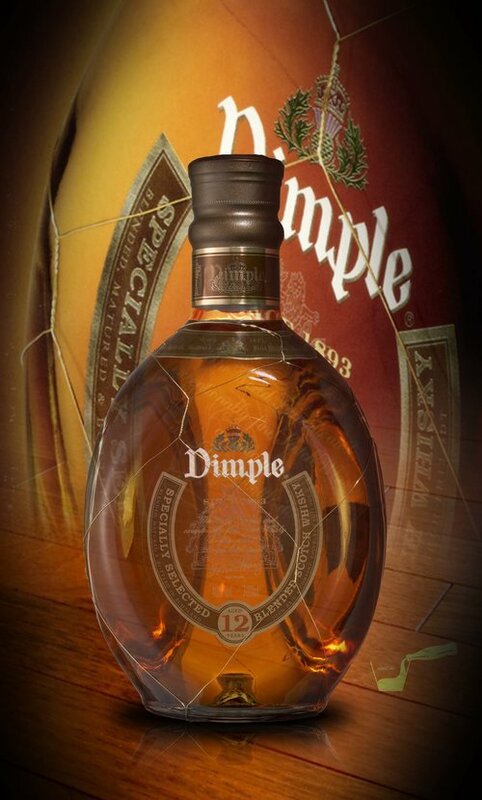 Another simple blended scotch whisky, that we could agree tasted more full bodied and sensual than Ballantine's, we have the mighty Dimple in second place. If you are a scotch or whisky drinker who hasn't tried this, lets just say you should and leave it there. Probably a guess before you started reading this was the most elegant choice in this month's list, and we won't lie if you had of guessed the Anniversary Jack Daniel's, like we know you did - you're definitely right. Jack Daniel's 150 year Anniversary Edition is just a gift for the taste buds, ten out of ten, would drink again. Get yourself a bottle and treat yourself, because this is leagues above the classic. Overall, August was a month that explored deeply the world of whisky, with a bright light shining from the Jack Daniel's distillery. It was beautiful. Pavan was another wonderful new liqueur that we would definitely recommend that you go out of your way to try, it really is surprisingly good and we were surprised when it ranked so lowly on the list! Tune in for the September releases, where we get a little bit fancier! Can you guess what's next to face the with coke test?